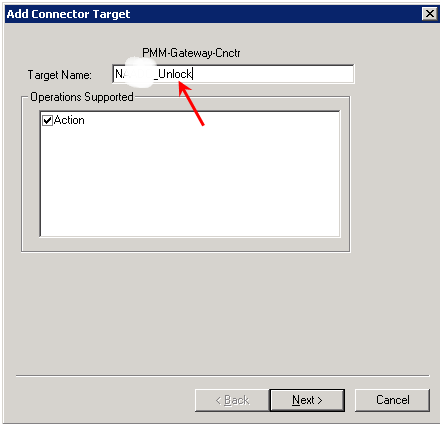 Create a new PMM Gateway target that mirrors your active directory target. Modify your summary and confirmation forms as you see fit. Edit your unique resource data. 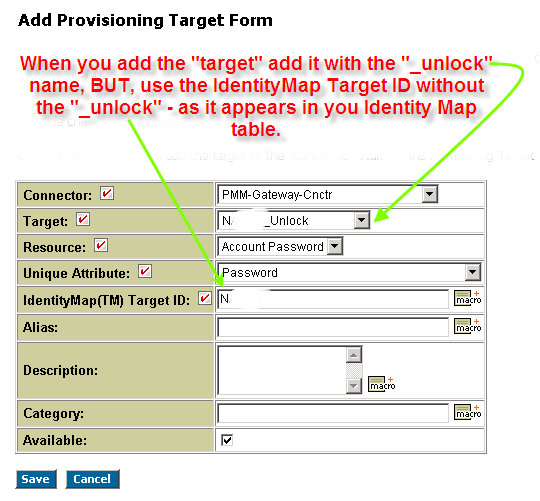 Set the password to %Custom Macro.SuggestPassword%. And turn off your password validation. We have a problem with user accounts getting locked. We have them set to automatically unlock after 15 minutes, but users are often not willing to wait. We have also have removed our Support Desk’s right to use the native Microsoft tools to do this. So…. 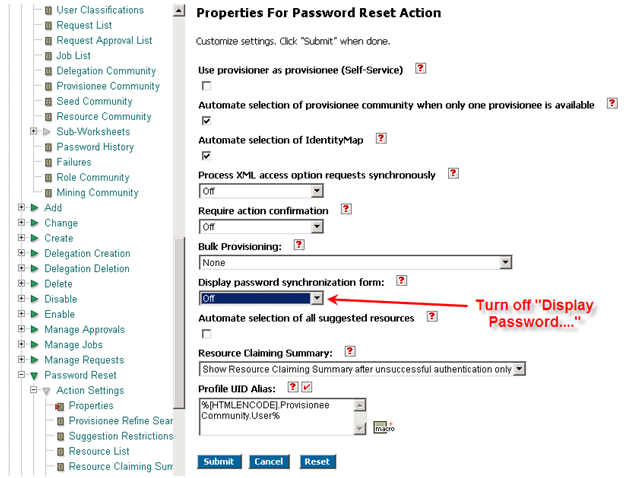 How can we unlock (NOT enable – different issue) user accounts without doing a password reset? We have a “Support Staff” password change workflow that lets the Support Desk do a password change for an end user, which is a start. The support staff person logs in, and is prompted for the end user’s ID that the are going to change. I made a copy of that. Sounds simple enough, but all the sample code I have found misses at least one of the items – most of the code runs as the person who is logged in & I need to code it to run with enough rights to unlock the user. 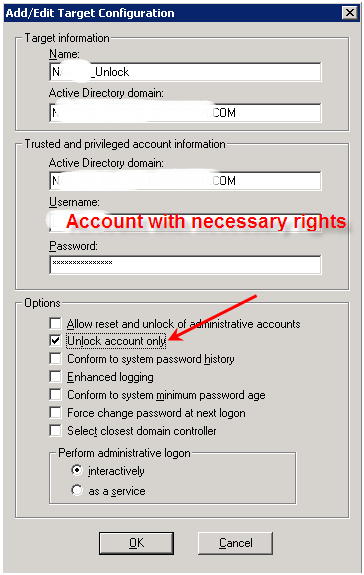 And those that I have found that use some authentication assume that you know “where” in active directory the end user is. Miro has a new version of the miro player AND now has a miro media converting program. Note to self – check it out. This person does an EXCELLENT job, I followed the instructions, and they worked without issue. A recent upgrade on the server, and all clients (except one) by another person went well… Notice I said except one. I took this machine home, reformatted the drive, and reinstalled the operating system (windows 7 64 bit), Office 2007, the whole bit from the CD’s that came with it (from Dell). Then, I dropped the machine off, joined it to the domain, and re-installed Foundation. It would NOT connect. I could not come up with an obvious solution, but I did mentally note that the Windows XP machine someone else in the office uses.. never had any problems connecting. Since it was all on the up and up, I followed the instructions at http://www.microsoft.com/windows/virtual-pc/download.aspx and installed Windows XP mode. Next, I installed Foundation (on the virtual XP, of course), and configured a connection. I have to admit it failed as well, but then something in the back of my mind jogged me into trying Named Pipes for the client connection. So, I rolled up my sleeves, and fired up the ODBC connection manager, and created a named pipes connection. When I got to the last screen, I clicked on “test connection” and it came back with TEST SUCCESSFUL. Then I fired up Foundation, made sure it was using that connection, and logged in without issue. Yes, I went back to the windows 7 64 bit machine and changed the connection to named pipes, but it wouldn’t work. I don’t know if you dig down enough, are named pipes different on a 64 bit machine? Probably at some level. I dragged the shortcut from the start menu / programs/ virtual pc/ XP Mode, etc.. to the desktop, and tried it again. No issues. I then rebooted it, and logged back in, double clicked on the icon, and, yes, it does start a bit slower, but it works.